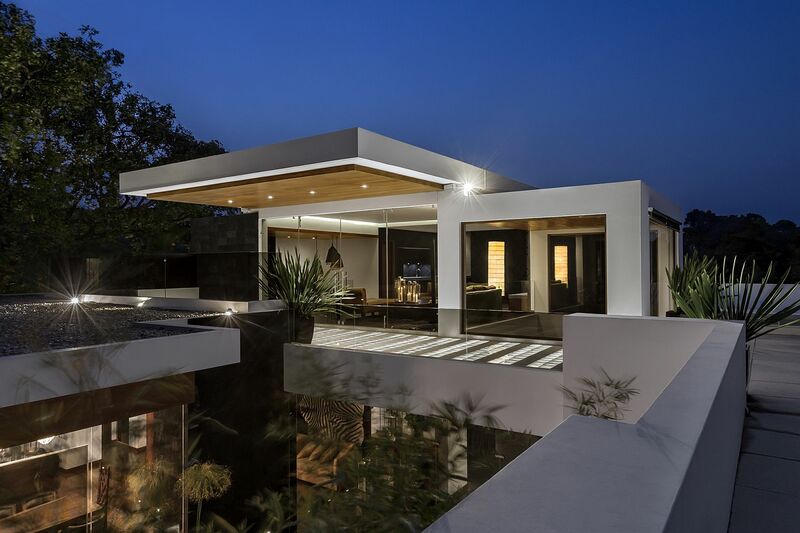 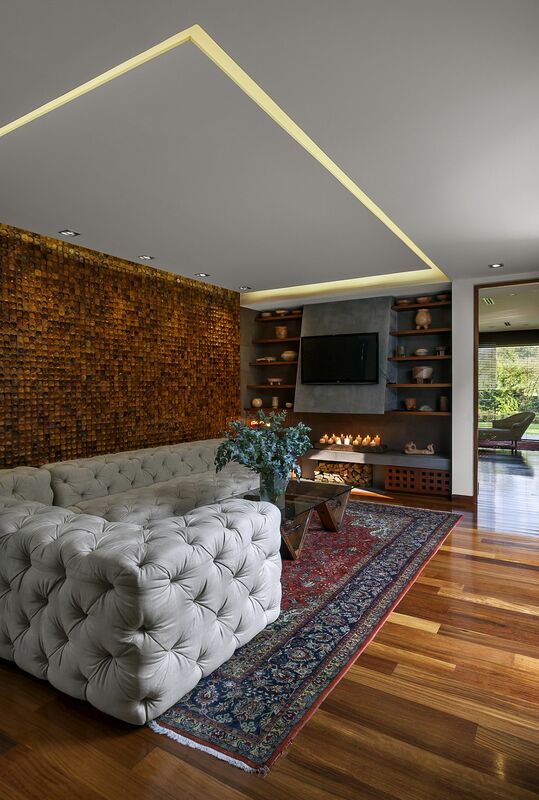 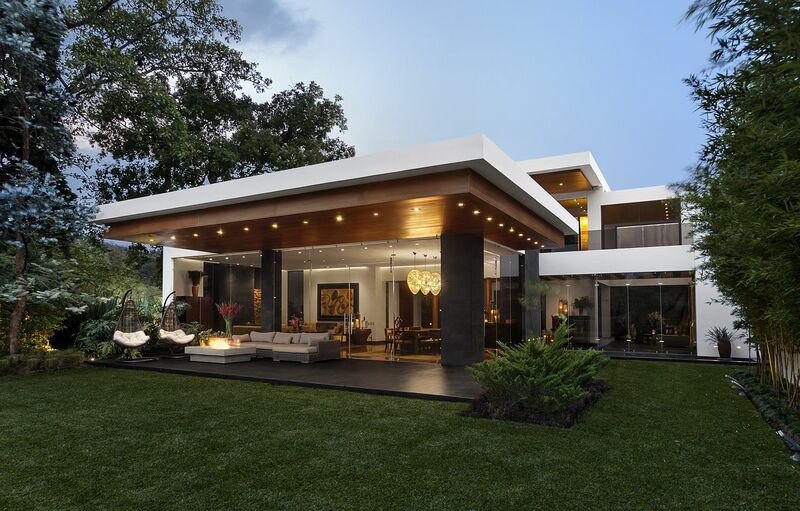 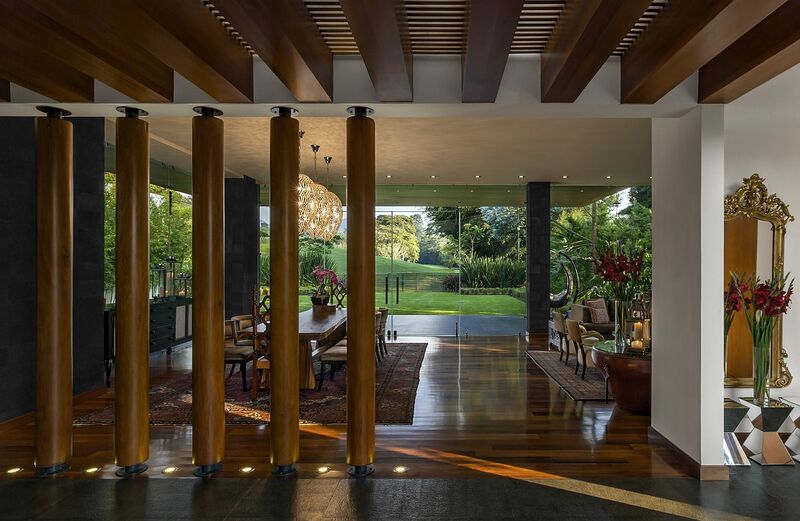 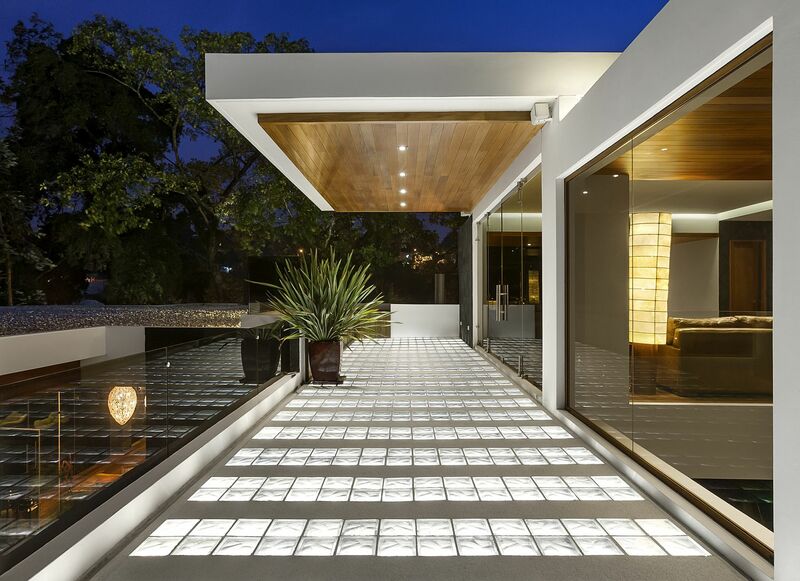 A contemporary home next to a lovely golf course and surrounded by ample greenery, the San Isidro Residence in Guatemala City, Guatemala, balances nature and vernacular design with modernity and sophistication. 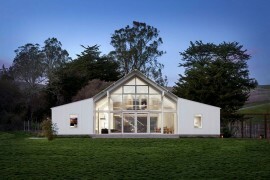 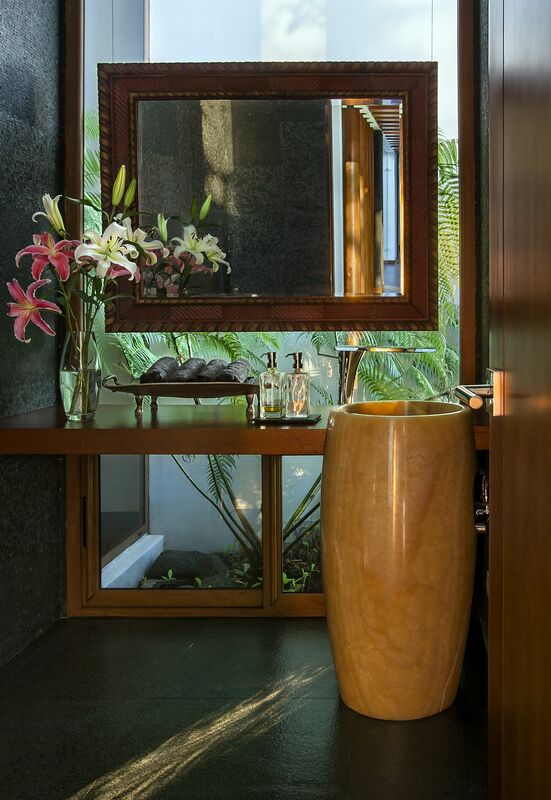 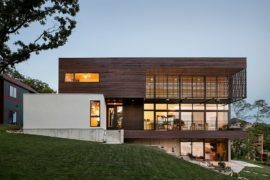 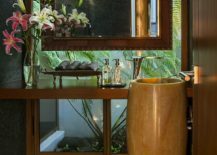 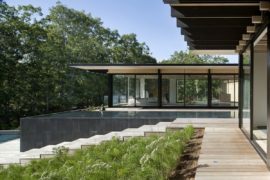 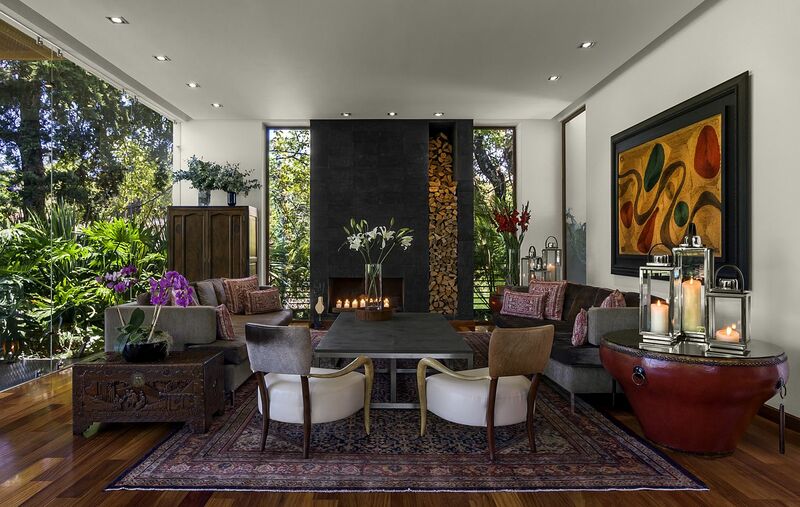 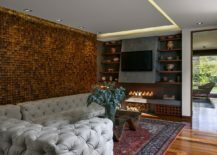 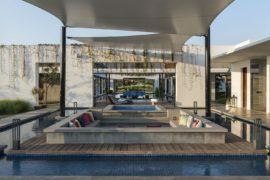 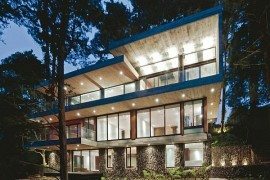 It is not just contrasting design styles that come together here as the house also aims to create a curated balance between various natural elements – earth, wind, water and fire! 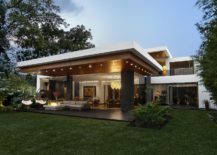 The result is a captivating home and an even more exquisite backyard where one can enjoy the natural landscape beyond even while soaking in the warmth from the fireplace! 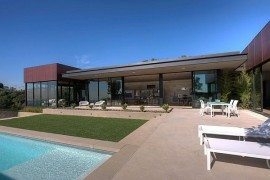 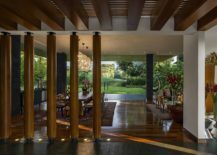 A Valls Arquitectos design, the house relies on locally sourced materials and a breezy indoor-outdoor interplay to offer the best possible living environment. 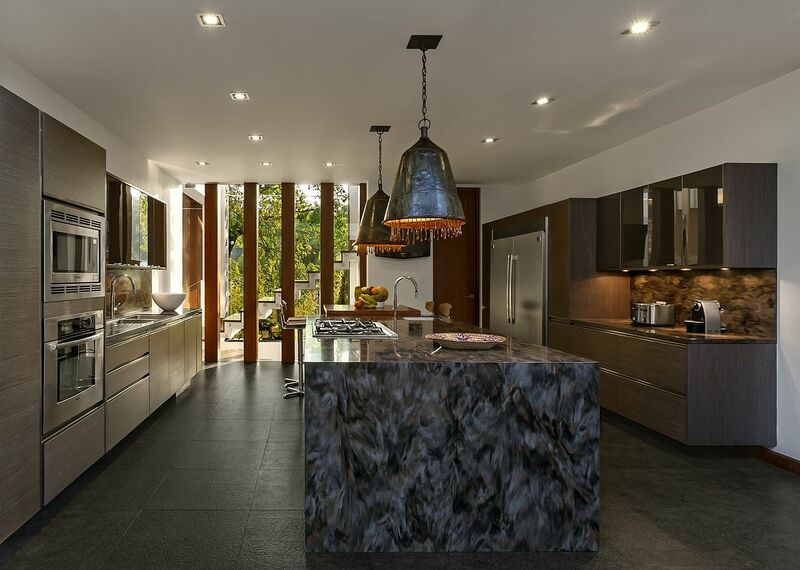 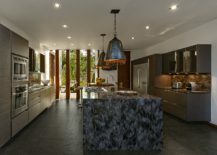 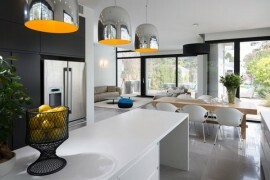 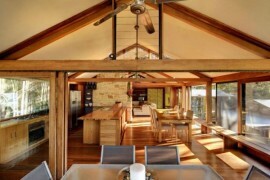 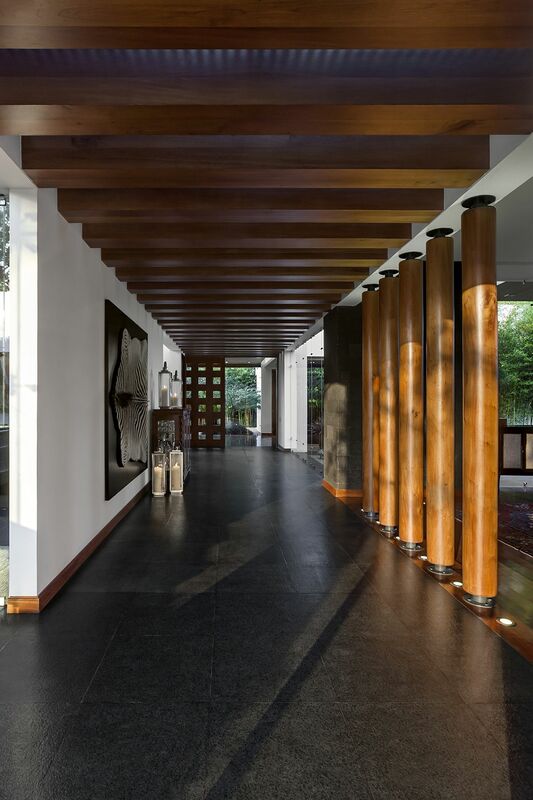 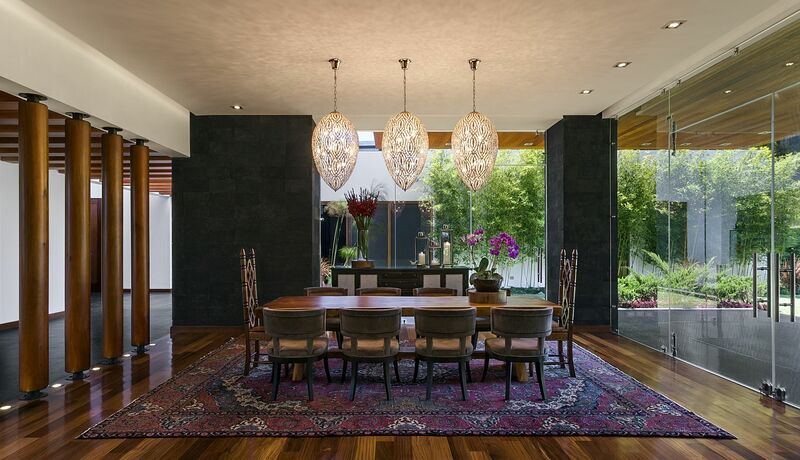 Tall wooden pillars that act as room dividers in the dining area, translucent and tempered glass panes that bring in natural light even while preserving privacy, large glass windows, natural rocks and unique accent walls fill the home with loads of visual and textural contrast. 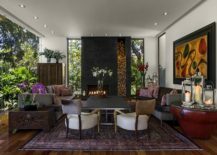 A gallery style entrance, open living area on the lower level and cozy bedrooms fashion a setting that feels both open and secluded. 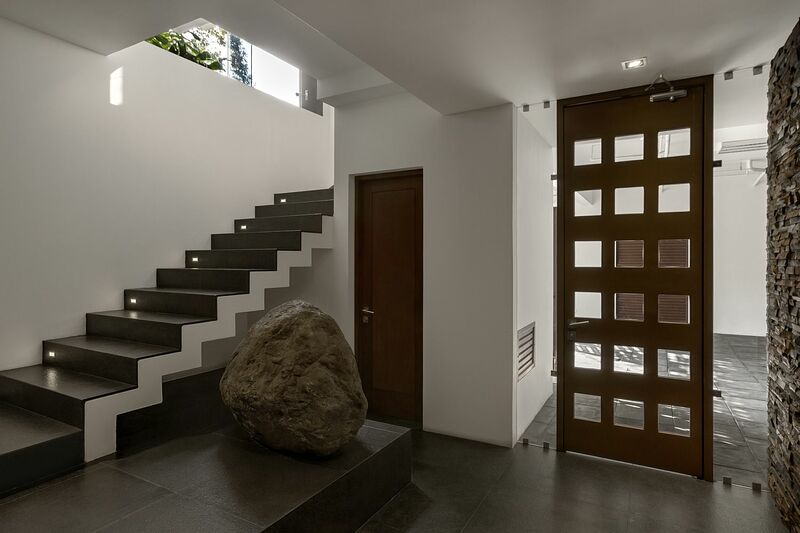 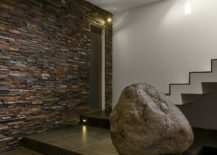 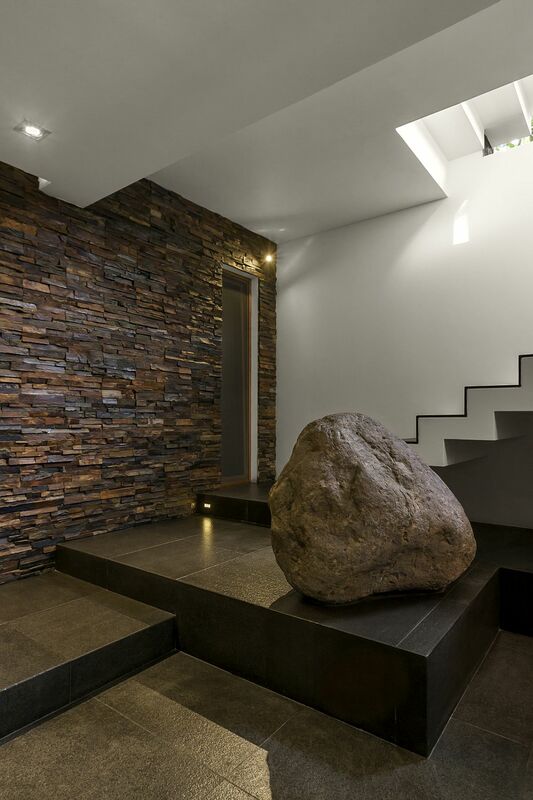 The final form is a result of the interlace of extended concrete planes, which combined with regional wood and stones cladding from Guatemala, create contrast between the materials and enhancement between the volumes.